The Specialized Sequoia is a bike that was designed to be relied upon and it lives up to this purpose well. 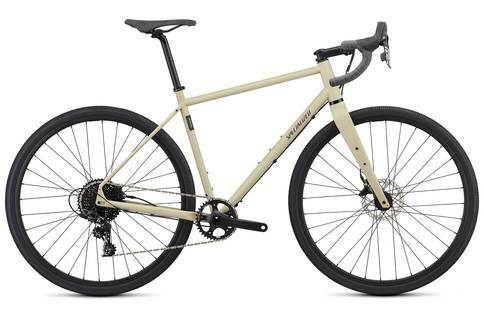 Weighing in at a little over 10kg, this bike is easy to handle and is up for almost anything. You will be able to get plenty out of this bike. With just a glance at the Specialized Sequoia, we knew that this bike was well-equipped to carry a load. It came with plenty of water bottle holders and has mounts for racks and fenders. This is precisely something that you want out of a bike that claims it is up for adventure. With the Sequoia, you can squeeze out a bit more riding time. One of the reasons that the Sequoia is able to take a little bit more weight is due to the Cr-Mo fork. Additionally, it also has internal cable routing for your lights. Another that stood out to us about this bike was that the spokes for both wheels were of the same length – on the drive and non-drive side as well. This is particularly useful if you need to haul around spares as you are just going to need one spoke. Once we took the Sequoia out for a spin we got a better of idea of what she had to offer. While this is a dependable bike, speed is not one of its strong points. This is largely due to the sizable wheels. They cut down on the discomfort that you experience but do slow down the bike a bit. You can feel this when you are trying to accelerate. Once you have got up to speed, the Sequoia proves to be quite easy to handle. It is also great at distributing the weight of an added load, making it easy to ride even if you are carrying some additional weight. The Specialized Sequoia may not be the fastest bike around but it will have no problem getting you where you need to go. If you are an adventurer at heart, this is the bike for you.